The World Hwa Rang Do® Association is proud to present you the annual international Hwa Rang Do® event, which will take place this year in Italy in the gorgeous Tuscan countryside of Chianni, province of Pisa. Special guests of this grand event will be the Hwa Rang Do® Founder Dr. Joo Bang Lee and his son, Grand Master Taejoon Lee. They will directly hold seminars open to the public on different facets of this incredible art. They will also hold the annual Conference for Instructors and Black Sashes from around the world, who will come to update themselves and study the most advanced aspects of this eclectic Art! At the same time, on Sunday June 30th and Monday 1st July all Tae Soo Do® and Hwa Rang Do® students will will do battle by competing in a true martial decathlon with 10 different categories, proving the vastness and completeness of this Korean Traditional Martial Art! 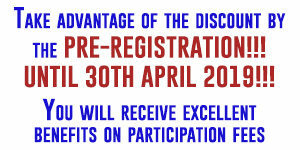 Take advantage of the discount by the PRE-REGISTRATION!!! By registering now for Seminars, championships, conference and dinners, You will receive excellent benefits on participation fees !!! The possibility to take advantage of this discounted prices expires on APRIL 30TH 2019. After this date full price will be paid. You will find all the details in the registration form! Join us in this great event !! !